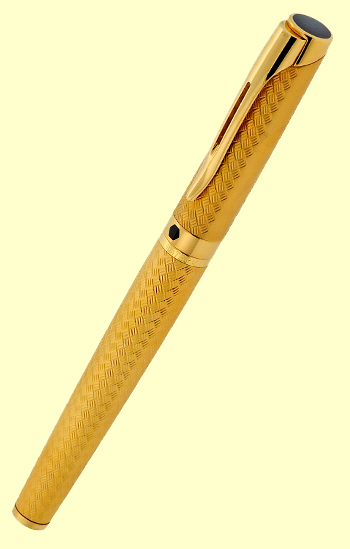 Waterman "L'etalon" 18K Yellow Gold Fountain Pen. 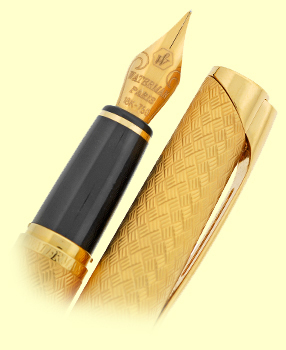 A combination of grace, style, distinction, delicacy and beauty, the Waterman L'etalon is a finely crafted jewel pen. Reflecting French style since 1883, Waterman bestows a perfect balance, sophistication and attention to detail in their latest luxury models. 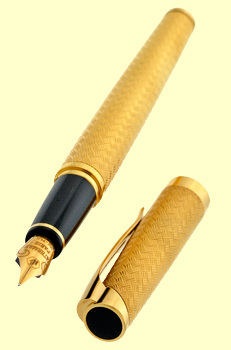 The fountain pens in both finishes feature an 18k solid gold nib with either 23k gold-plated or silver-plated trims. 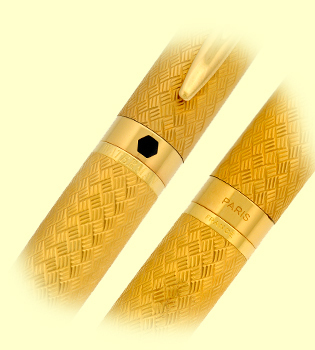 The cap and barrel material is lacquer-finished brass. Conceiving a prestigious pen of this shape to not only look good, work brilliantly, but also feel sublime in the hand, took immense skill. Today, when you write with an L'etalon, you can feel the inspiration flowing from its charismatic lines. 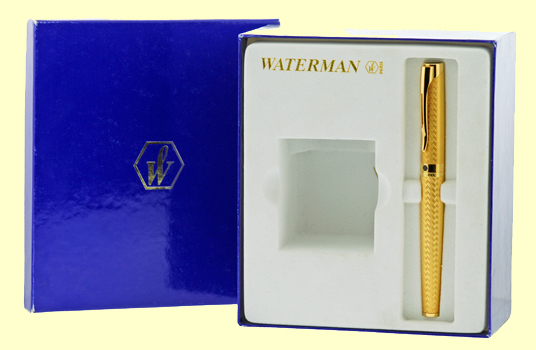 A Waterman masterpiece that echoes the magic of inspiration. BRAND NEW, NEVER Used. The pen has never been dipped or inked. It is complete with the box.